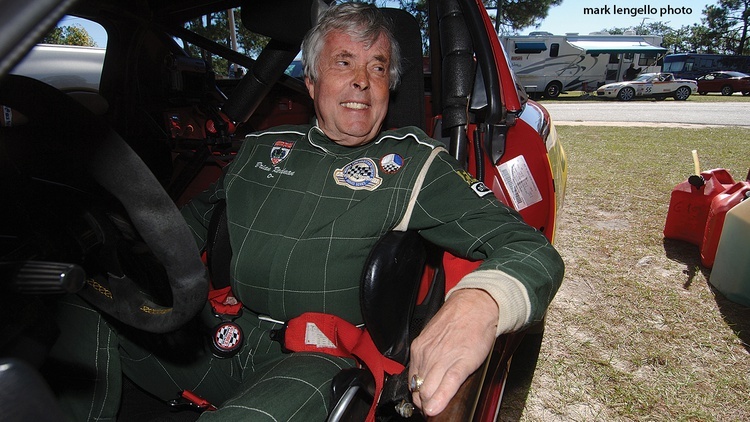 There’s one universal truth in racing: The car can always be driven faster by somebody else. How can that be? Sometimes the difference between two drivers comes down to experience. Or maybe it’s the confidence born of that experience. Either way, the more you do it, the better you get, right? Not exactly. In this sport, sometimes the more you drive, the more cemented your bad driving habits become. Confidence in your skills can work against you here, as you may be less likely to let those habits go and follow the righteous path instead. But don’t worry. You’re one of the lucky ones—You’ve realized early enough that there’s room for improvement. You’re beginning to find out how the quicker folks do it. You resolve to learn. You resolve to do better. It won’t be an easy road. Most people get on track just a few times a year, and many enthusiasts don’t begin until later in life. It’s not a bad thing, or even something that consigns them perennially to the back of the pack, but it does mean that they will have to work harder to go faster. How do you go quicker? Thanks to the myriad of variables a driver deals with regularly—tasks undertaken in the car, countless possible distractions—our investigation could easily span volumes. So let’s concentrate on what we should work on first. Here are 10 of the most common tips that I’ve used over the last two decades to help drivers raise their game. 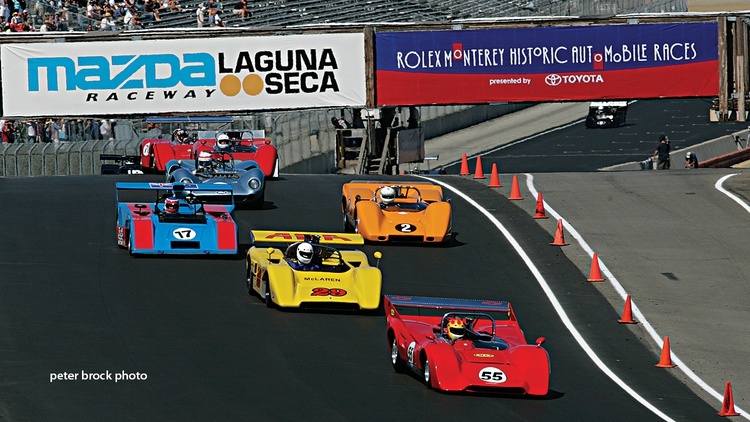 What separates the amateur driver from the professional racer? The one major difference is practice, practice and more practice. The more you drive, the better you get, but you have to start with some solid fundamentals. It’s remarkable how many “advanced” drivers aren’t familiar with trail-braking or comfortable with heel-and-toe downshifting. Are these particular skills necessary to do well or even win? Not necessarily, but familiarity with them is essential to building a firm foundation. In this day and age, there is no shortage of good books and reference articles on how to practice and master not only basic drills but also more advanced techniques. One of my favorites is the Carl Lopez-authored Skip Barber Racing School book “Going Faster.” Another favorite is the last of the wonderful series written by prep guru Carroll Smith, “Drive to Win.” Every driver’s library should have a copy of Alan Johnson’s “Driving in Competition.” Last but not least is a six-volume series written by coach and instructor extraordinaire, Ross Bentley, titled “Speed Secrets.” Of the online offerings, I like John Stecher’s Trackpedia.com as a wiki (or user-maintained) source. The most effective driver is one who is comfortable and confident in the car. Invariably, the occasional driver will have the seat base too far away to properly work the pedals and the seat back reclined so much that he has to stretch forward to turn the wheel. Here’s how the car should fit: With your back flat against the seat back, you need to be able to hold your right arm straight out, palm down, and have your wrist touch the top of the wheel—same with the shift lever. As for your feet, you should be able to plant them comfortably on the pedals. If you have to stretch or strain to reach any of the controls, you’ll be preoccupied with what’s going on inside the car rather than focused on the action on track. In a production car or sedan, pedal placement dictates seat base placement, while steering wheel placement dictates seat back rake. 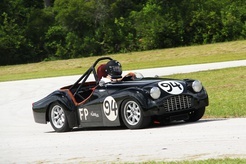 In purpose-built race cars, the pedals, steering wheel and even the rest position of the shifter can usually be adjusted. Make certain you also have adequate shoulder support. Adding fiberglass or sheet metal “wings” to the seat to help stabilize your upper body, especially in a sports racer, can keep you from using the steering wheel to hold yourself up. Make sure your harness fits, too. Precious time can be saved by fitting the car to you. It’s not good enough to pound around pointlessly on test days, accumulating costly wear and tear on that precious engine and burning through tires. If you want to go quicker, you need a plan. It’s vital to do your homework on the geography you’ll be seeing over and over again during the weekend. The driver who knows what lies on the other side of that blind brow has a huge advantage over the driver who doesn’t. What is the best way to study the course? Walking, of course! 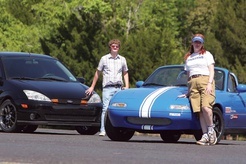 Like many of you, I started out in Solo competition, also known as autocross. It was mandatory to walk the course so it would not dissolve into a sea of cones once I left the start line. The same concepts apply at the race track, only on a bigger scale. The obligatory end-of-day track walks are now fixtures in my study of a course, even if I’ve been coming to that same facility for two decades. You can never learn or observe too much about the track you’re visiting. It’s gratifying to have experienced racers join me on track walks and discover of some new dip or camber they hadn’t noticed before. Walking and studying the track is the only way to really know which way the road goes, where the topography will help you, and where it will not. 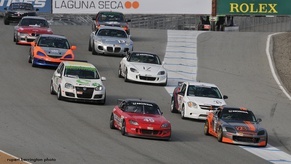 Most drivers are consumed with anticipation for weeks, even months, before a track weekend. If it’s a big event with a large field on an unfamiliar course, that anticipation can bloom into anxiety. Too often, as a result, people go out during first practice and try too hard to go as fast as they possibly can, bound and determined to land their name at the top of the time sheet—only to fall off the track or zing an engine. The best racers are those who make the least mistakes while forming and following a global plan for the entire weekend. Each session has its own goals. Always go gently on the first day. It’s impossible to make a detailed study of the course or the car when you are millimeters from disaster, and that’s the case when you’re really trying hard. Build speed over the course of the weekend with the ultimate goal of peaking your performance on Sunday afternoon. It’s always easier to add speed than to take it off. Easy does it. Now that you’re on course, don’t be lazy! Don’t just lollygag around, waiting for tires, engine oil or your brain to come up to temperature. The mechanical warm-up should have occurred in your paddock. 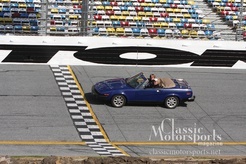 The driver warm-up should have taken place during the course walk. Laps and track time are a very precious commodity. 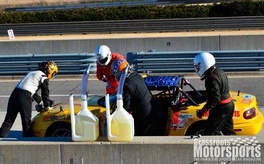 At tracks like Road Atlanta and Watkins Glen, emergency service policies that call for frequent Black Flag All commands plus a lack of any real run-off areas can make it very difficult to get a full session in the crowded race groups. A car might lose an oil line going into the Bus Stop at Daytona or the Kink at Road America and compromise the condition of the race track. In the race, the best drivers are trying not only to judge the starting flag well, but to put in absolutely the quickest opening laps they can. They drive a little beyond their comfort level while the tires come up to temperature, putting a gap on the rest of their competitors. The best time to practice what this feels like is, well, during practice. Try to come up to speed quickly on your out lap and realize that the car will get better as both you and the tires rise to the occasion. On the cool-down lap during a practice session, keep up your speed, especially when you are planning to take tire temp. The car should always be prepared for the event before it goes on the trailer. The best drivers make sure their cars are running and handling well before heading out. If they have treaded tires, they keep track of the number of heat cycles and maintain a log detailing each and every time the car has gone out on track. If they’re using slicks, they’re running new ones or a set that has been properly scuffed in. Stay on top of the known problem areas and consumable items so that you’re ahead of the maintenance curve. It’s surprising how many folks run out of gas during a session, or worse yet, get ready to go to the grid and discover a dead or dying battery. These problems are avoidable. The division of labor between driving and working on the car is clear and identifiable. If it’s not, make a plan so that it is. If it’s apparent that getting the car together always involves thrashing before and during an event, fix that problem first. If you start the weekend behind, you’ll stay behind, literally. Break down your on-course objectives into manageable bites. By working on doing a few things well rather than settling for mediocrity, substantial progress can be made. Most weekends have a surfeit of track time, so why not use that to your advantage? Pay attention to other competitors and, while making sure that you don’t “buttonhole” particular racers, begin to compile a database that will enable you to carefully evaluate the competition. Early in my competition career, I had an on-track incident with another driver while attempting a pass. After the wreck, the other drivers in the group came by to console me. “Didn’t you realize that he didn’t see you?” one asked. It took me a lot longer to realize that the cause of the incident was my problem, not his, simply because I had not done my homework on whether or not that particular driver could be trusted. You must study other drivers in order to know whom you can trust and whom you can’t. After that, I was more careful, studying, observing, planning and executing every on-track pass. It didn’t mean that I was tentative in passing; it meant that I executed my passes with more decisiveness, minimizing the chance for contact. When starting out, you’re going to make mistakes—a lot of them. Most mistakes are minor, with minimal consequences and no damage. Those watching you may not even notice. Occasionally, you’ll make a major mistake. Often these are the result of a series of minor ones that accumulate uncorrected. Your major mistake may be nothing more than a skid into the run-off area at the exit of a tricky turn. Very rarely, you’ll make a monumental mistake. This is the culmination of a series of minor mistakes, uncorrected, that progress into a series of major mistakes, again uncorrected, that morph into a cataclysmic disaster. Hopefully you aren’t hurt, but invariably the car is. Fortunately, most of these monumental mistakes are avoidable, because each minor mistake can be addressed to prevent the problem from escalating. If you have an issue on track, give it up. More gas only means you’re going to leave the road at a higher speed and hit something harder, whether it be a tire wall or another competitor. Take your medicine and stop digging the hole. Learn to recognize when you’re in trouble. Getting back to basics, it’s still surprising how many people coast from the end of braking to turn-in, and from turn-in to apex. When it becomes clear that you’re going to make it through a complex combination of corners well enough to put your foot down, you can feel like a hero. However, real heroes are the people who are on the accelerator earlier and harder than most would deem prudent. After examining data from various drivers at the same track, it’s apparent why some people in a lesser car can go quicker than others in the latest and greatest. Those who brake earlier and easier while getting their downshifts done and out of the way are back on power sooner. They may just be lightly on the gas, but they’re accelerating nonetheless and leaving the last-of-the-late-braking, point-and-squirt devotees in the dust. Way too many drivers aren’t even aware that during a significant part of a corner, they aren’t committed one way or another. Thanks to my professional experience, I can observe that they often over-slow, and on top of that, they don’t do anything to repair it! How do you fix it? Pick one: Either you are on the brakes or on the gas. Simple to say, hard to do, but a must-do. Yes, the key to avoiding contact, either with something stationary or mobile, is to leave a margin that will allow you to corral and control the car in taxing situations. That said, most drivers reach a particular comfort level and plateau, neither progressing or regressing in their relative performance level. To get better, you need to gently and progressively unstick the car; this can involve more time on the accelerator, but mostly it involves not slowing as much at corner entry and seeking to carry that speed from turn-in through the apex. So, you might ask, safety is important, but so is risk-taking? I understand the inconsistency of what I’ve just said, and clearly others do, too. I race with many people who rely on that safety margin and are comfortable doing so, even as the rest of us are edging toward the limit. Successful risk-taking is the ultimate factor that separates the merely quick from the very quick. Don’t get complacent, don’t get lazy, don’t just ride around. 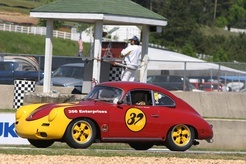 Pick a safe, uninhabited and slower corner to push the edge: Turns 1 and 2 at Summit Point, Laguna Seca or VIR; Turn 2 at Lime Rock; Turn 5 at Road America or Roebling Road. The idea is to combine a level of steering input, accelerator position and rate of engagement to control the radius of the car as it goes from turn-in through the apex and on to track-out. Want a wider exit radius? Add power instead of opening the wheel. Tell the car what to do instead of asking it! Draw a broad and open brush stroke on the course with the car. It is this combination of car and driver that transcends each individual’s performance capability. Clearly, there’s a heck of a lot that goes into this high-speed chess match. I am constantly reminded of how the sport of racing and high-performance driving is more of an intellectual exercise than strictly a test of testicular or ovarian fortitude. Hundreds of individual skills, goals and objectives are all ingredients of a successful plan to go faster, but the first order of business in any worthwhile venture is to be open to learning. After the elementary information is presented, the purpose of the racing coach is not to prescribe a one-way, informational download, but instead to encourage and initiate a cogent, coherent discussion of all of the requirements to go fast, picking a few at a time to work on, develop and attempt to master. That’s how the best drivers succeed at being the best: They are willing and avid students of the craft. You can do that yourself. That’s also why I have one of the best jobs in the world—like my clients and students, I’m learning every time I go out on course. 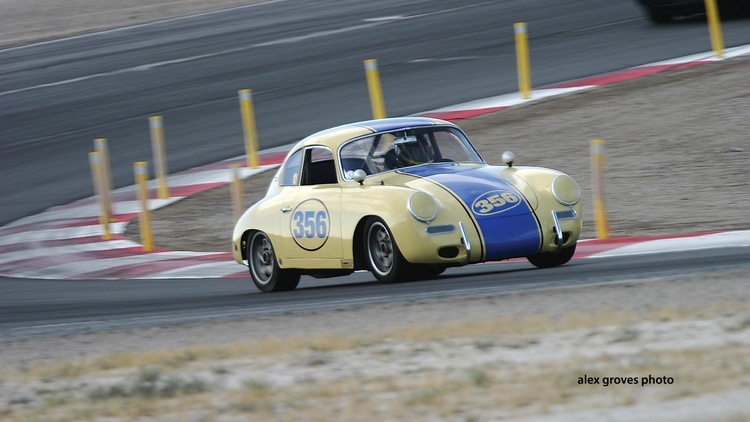 Peter Krause has been involved in all aspects of vintage racing, from prep shop owner and professional racing school instructor to event chair and championship-winning driver. 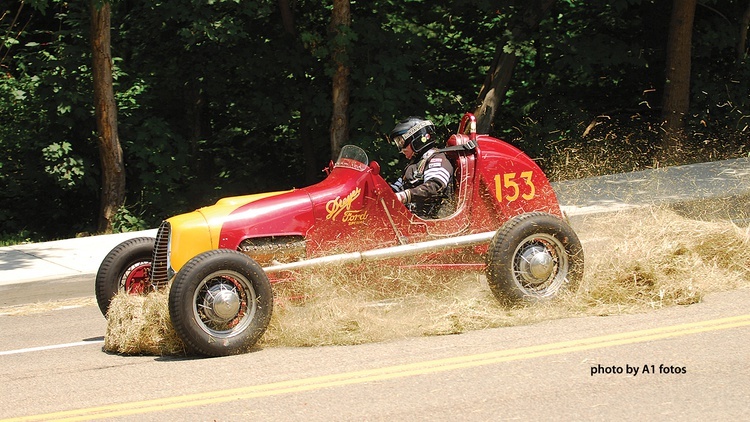 His rides have included everything from a Fiat 850 Spider to a Lola 2-liter sports racer. 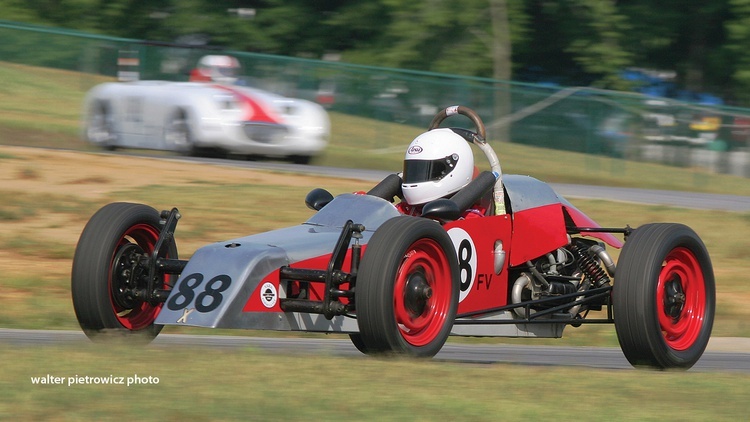 He recently sold his vintage racing prep shop and is now professionally teaching and coaching vintage historic racing drivers through his new business, Krause & Associates LLC. You can learn more by visiting peterkrause.net. Join Free Join our community to easily find more BMW, Ford, McLaren, Porsche and Shelby articles.